The Lynn Allen Awards are named for founding NPI boardmember and netroots pioneer Lynn Allen. Lynn believed in the important work of organizing rural communities and acting on issues of concern to people living far away from our big cities and urban areas. She believed in the politics of inclusion. As communications director of the Institute for Washington’s Future, she traveled regularly to Washington’s rural counties and small towns, championing sustainable business and agricultural practices. A skilled facilitator and gifted listener, Lynn understood the importance of and need for effective activism. Not a day goes by when we don’t miss her. By establishing the Lynn Allen Awards, we’ve taken another step to ensure that Lynn’s good works will be remembered and her legacy appreciated. Tapped in 2001 to take the helm of a public agency in crisis, Joni Earl turned Sound Transit around, instilling a culture of excellence. 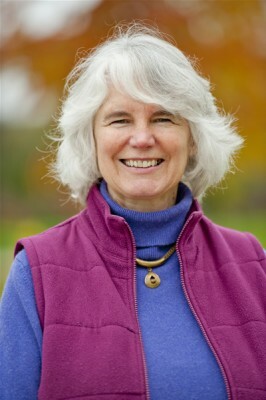 Joni deftly navigated around treacherous legal and political obstacles to restart planning of the high capacity rail spine voters approved in 1996 to connect cities in Washington’s urban core. Under her leadership, Sound Transit secured the federal funds needed to begin building Link light rail and won voter approval for a crucial second phase of expansion. Construction of the system began in the autumn of 2003 and has been underway ever since. Sixteen stations are now open and dozens more are on the way. A formidable attorney specializing in complex appellate and civil litigation, Paul Lawrence has ably represented public servants and working families in our courts for more than thirty years. During a five year stretch ranging from 2011 to 2016, Paul skillfully secured a series of landmark verdicts against a crop of right wing initiatives that gravely threatened Washington’s future. Prior to those cases, Paul defended Sound Transit against multiple lawsuits intended to weaken or destroy it. His mastery of constitutional law and sound trial strategy have repeatedly led to crucial victories for progressive causes. A widely respected voice for America’s veterans, Paul Eaton rose to the rank of Major General in the United States Army before retiring in 2006 after more than three decades of exemplary service to our country. Since retiring, Paul has continued to serve the American people through his work with VoteVets.org and the VetVoice Foundation. In 2007, Paul worked with Darcy Burner to put together A Responsible Plan To End the War in Iraq. The following year, he was instrumental in helping establish NPI’s Spring Fundraising Gala as a successful event, allowing NPI to significantly expand its research and advocacy. Paul’s work on nuclear nonproliferation, including his thoughtful advocacy in support of the Joint Comprehensive Plan of Action with Iran, has made our world community safer and stronger.